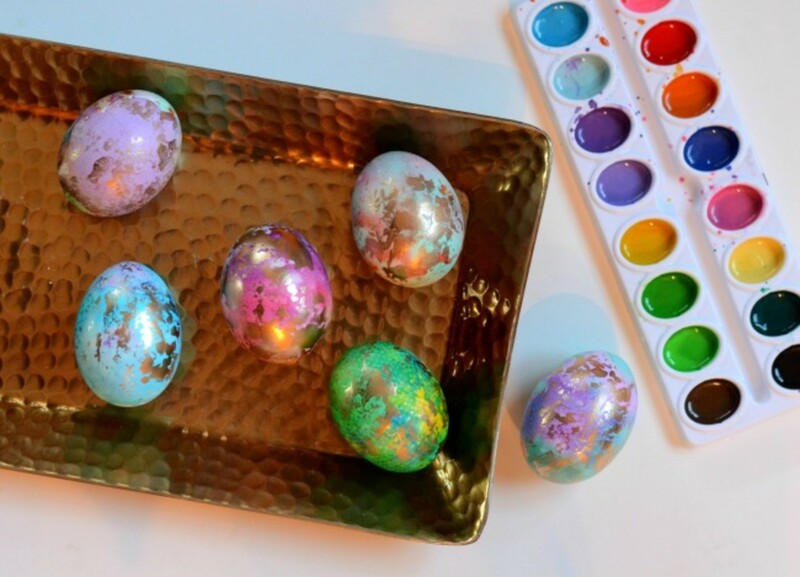 I made these beautiful gilded watercolor eggs for our Easter display this year. As an adult I&apos;m not longer happy with the simple cups of color for dying eggs. I need a more intricate more "adult" design. 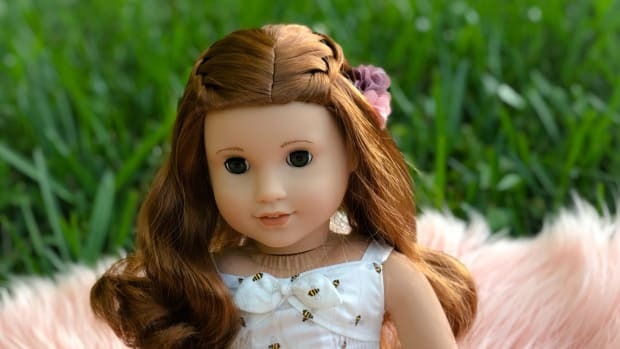 Something that&apos;s really pretty to look at with some detail. I made most of these during nap time one day, but kid&apos;s love painting the eggs too. 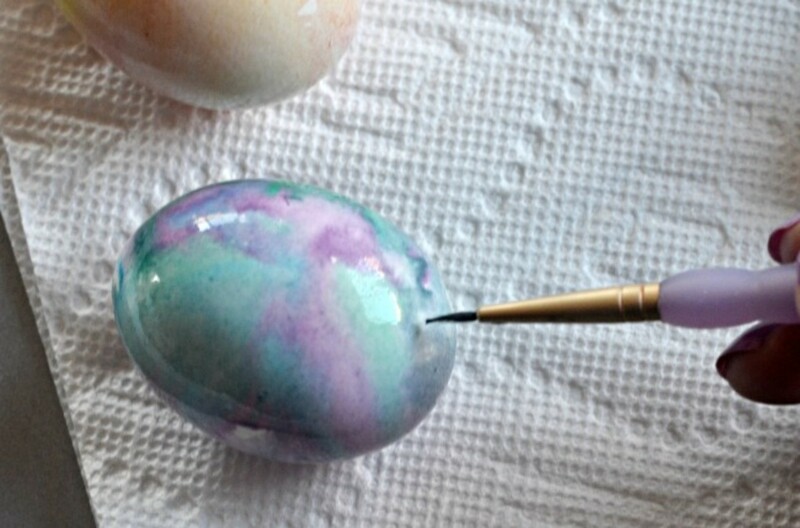 Watercolor eggs are always so pretty with their marbled pastel designs. The colors seem to just flow together and create gentle swirls and patterns. I&apos;ve done watercolor eggs a few times in the past with my kids but this year I felt like they needed something else to really make them pop in our Easter baskets and on my table display. 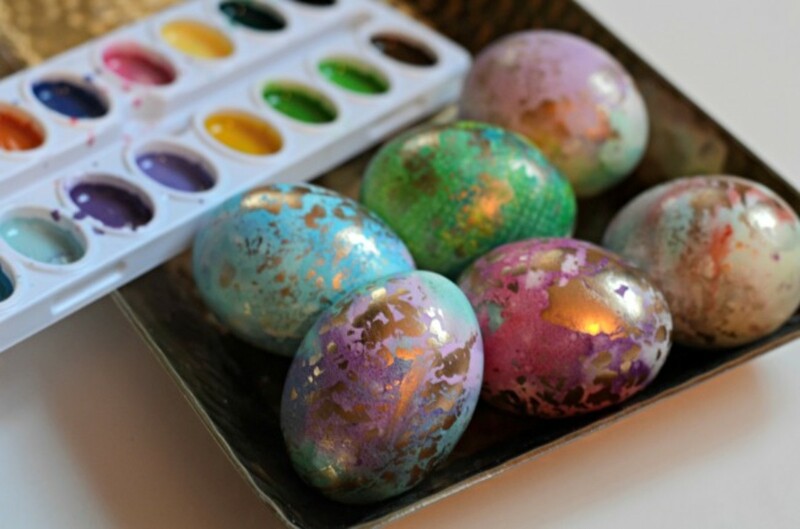 I love the look of gilded eggs but I don&apos;t have gold leafing to create it. I came up with my own way to create the gilded look with supplies I bought at Wal-mart. Check out our video tutorial below to create your own gilded watercolor eggs.